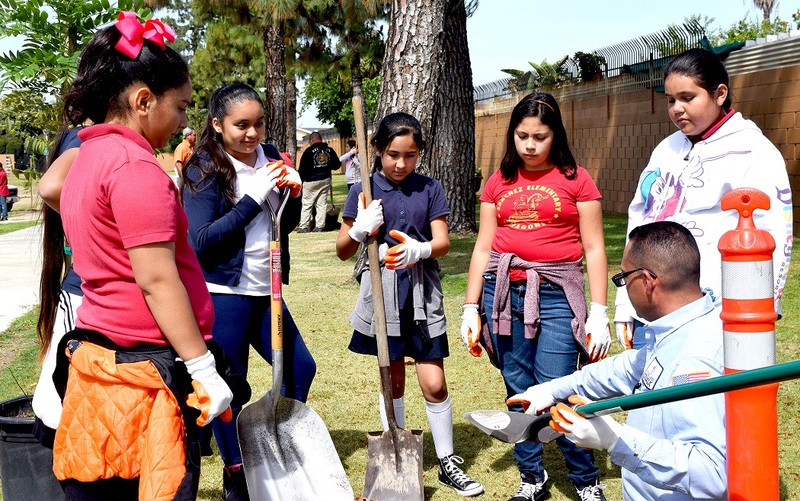 NORWALK, CA – Sanchez Elementary fifth-graders took up gardening gloves and shovels on April 25 as they joined Norwalk city workers and officials in planting 25 Golden Medallion trees at Hermosillo Park in honor of National Arbor Day. The students, working in teams of five, started the day with a lesson from Norwalk workers on how to prepare the trees, from digging the hole to the right tools for planting. “I enjoyed working with the soil, and learning about the vitamin tablets that keep moisture in the ground to help the tree grow,” Sanchez fifth-grader Kamilah Cervantes said. The students took turns clearing soil from the hole after city workers dug it out and placed in a vitamin tablet. The students then worked with their team leader to release the tree from the pot before gently settling it in the earth, and with a large scoop shovel, replaced the dirt. Once the planting was complete, students were given cups of soil and wildflower seeds so they could nurture their own piece of nature. 051117_NLMUSD_SANCHEZTREE1: Sanchez Elementary fifth-graders listen to a Norwalk city employee explain how to plant a tree. Students joined Norwalk city workers and officials in planting 25 trees at Hermosillo Park in honor of National Arbor Day. 051117_NLMUSD_SANCHEZTREE2: Sanchez Elementary fifth-graders plant in one of 25 trees at Hermosillo Park in honor of National Arbor Day. Sanchez Elementary fifth-graders listen to a Norwalk city employee explain how to plant a tree. Students joined Norwalk city workers and officials in planting 25 trees at Hermosillo Park in honor of National Arbor Day. 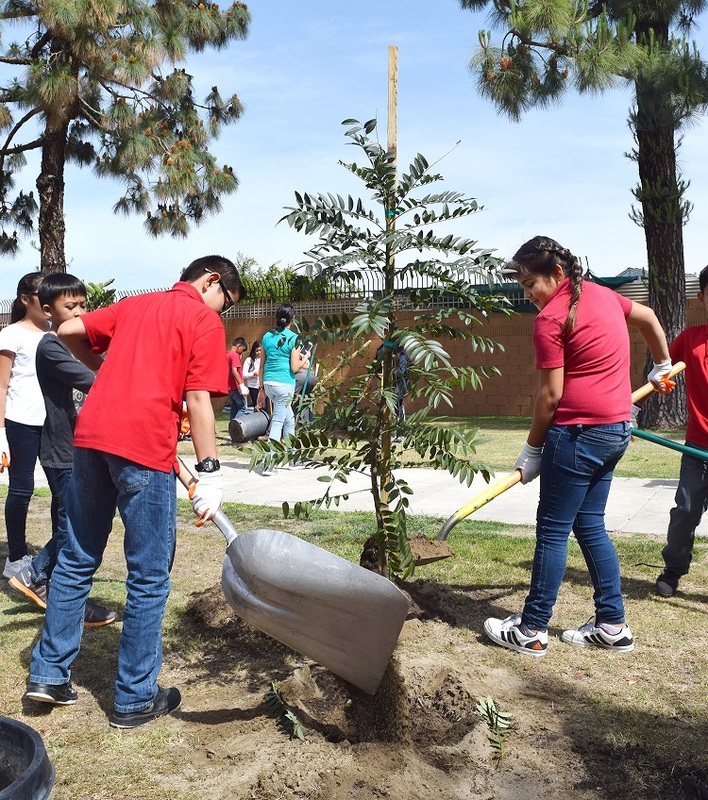 Sanchez Elementary fifth-graders plant in one of 25 trees at Hermosillo Park in honor of National Arbor Day.